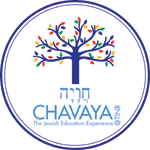 Chavaya is Temple Israel of New Rochelle's Religious School program for Kindergarten - 12th Graders. Applications must be completed in one computer session using a desktop computer or laptop. This application is not "user friendly" with PDA devices. You will need to complete one application per participant and upload a photo to complete the registration. In order to complete the application, full payment or first installment of a payment plan is required. Contact the Chavaya Office at (914) 235-1800 x220 with any questions. Child's Cell Phone for Programming Purposes Nitzaneem (3rd & 4th Grade) and Up (###-###-####). If not applicable, please note n/a. Child's Email Address for Programming Purposes Nitzaneem (3rd & 4th Grade) and Up. If not applicable, please note n/a. Chavaya Tuition is subsidized by Temple Israel. Please consider paying the actual cost of tuition for the Temple. The difference is a tax deductible donation. A 3% administrative fee will be added if you choose to pay by credit card. * In addition to on-line registration, you will receive a physical mailing of our Chavaya Community Brit for each child registered. If your child is enrolled in 3rd - 12th grade, you will also receive a technology policy. These are guidelines for our participants and must be signed by both the child and parent(s) and returned to the office in order for registration to be considered complete. I understand that we will need to sign and return the Brit for registration to be complete. Interested in Youth Temple Basketball? Please contact the Basketball Commissioner Erik Wolf at tinrhoops@yahoo.com. Parent Snack Volunteers help with the snacks available to the participants on Tuesdays & Thursdays between 3 - 4 p.m. before programming. Interested parents will be contacted by the Administrative Assistant in August. Please provide any information, such as medical needs, which may be of help to the Chavaya Director and faculty. Please include information if your child has an IEP or 504 in place in their secular school as this information may be helpful in addressing his/her specific needs. This information will be kept confidential by the Chavaya Director, and will only be shared with the Faculty and Clergy as needed. Allergies (especially food allergies). Please be specific. Please click here to email a recent digital photograph of your child to Administrative Assistant, Rhonda Sexer-Levy. A photograph will help your child's educator get to know your child before the year begins, and will enable us to identify your child in case of emergency. Your application will not be considered complete with out the emailed photograph. Please note: file must be a JPEG, GIF or PNG format. The child listed above has my permission to engage in all Temple Israel of New Rochelle (TINR) Chavaya Programming and Youth Group activities except as noted below. In the event that I cannot be reached in an emergency, I hereby give permission to TINR to seek emergency medical treatment and arrange necessary related transportation for my child. I hereby give permission to the physician/health care provider selected by TINR to secure and administer treatment, including hospitalization, for the person named above. When a TINR event is not on the temple premises, I give permission for my son/daughter to be driven to and from the event by an authorized mode of transportation. I agree to indemnify and hold harmless TINR, their employees, volunteers, and members from any harm which may come to my son/daughter while in transport to or from the event, or during said event. * I am aware that pictures of my child may be taken at TINR events and give permission for them to be posted on the TINR website or printed in TINR publications. * By checking this box I agree to the above authorization and that the responses are as accurate as possible. Please make sure the registration form is completed in its entirety and click "register."